Two months ago I decided to take a gamble and buy a pack of three bare root strawberries from my local Wilko store. I’d seen them in there a few times, then I’d seen ‘just how easy’ it was to get great plants from them courtesy of lots of youtube videos. Why wouldn’t I give them a go? 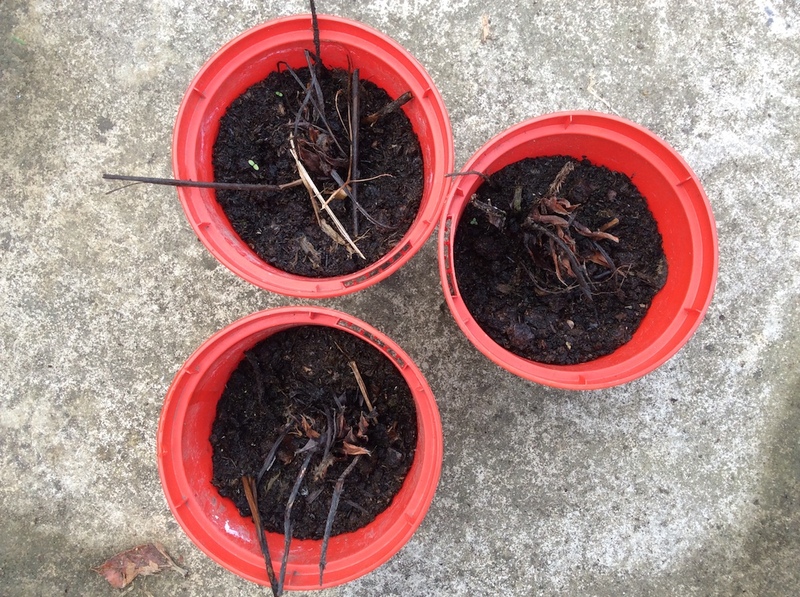 BEFORE: The bare-root Strawberry Elsanta plants potted up and ready for sunshine. I did. And after waiting for two months, nothing has happened. My three pots are still bare roots, and bare tops. In fact, they haven’t changed at all. Each had fresh multipurpose compost (in which the normal plants thrive), each has been watered, and yet there is no life in these three bits of straw-esque dead plants. Perhaps I purchased a bad bag – old dried stock beyond redemption? AFTER: Spot the difference. 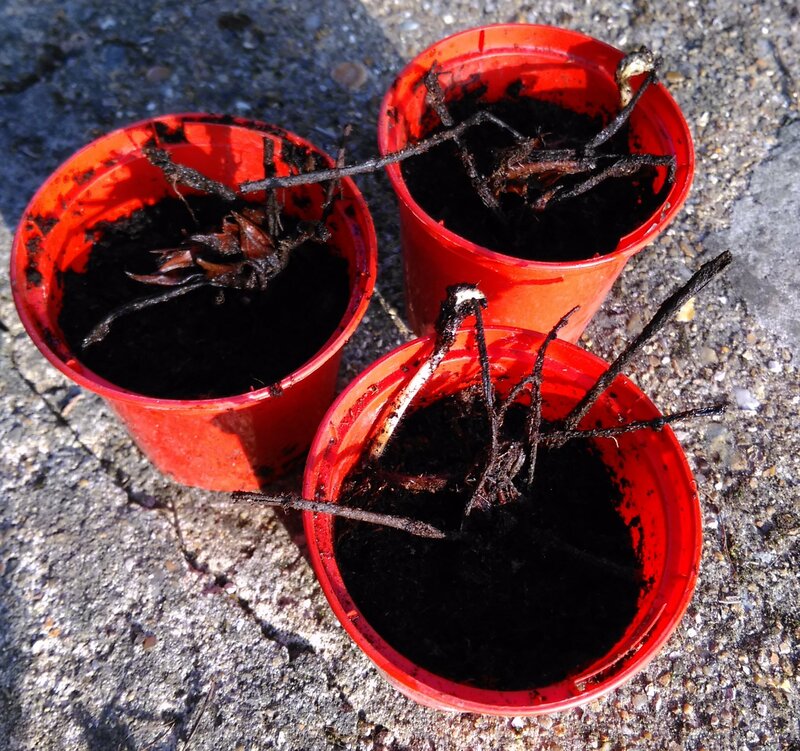 The bare-root Strawberry plants failed. 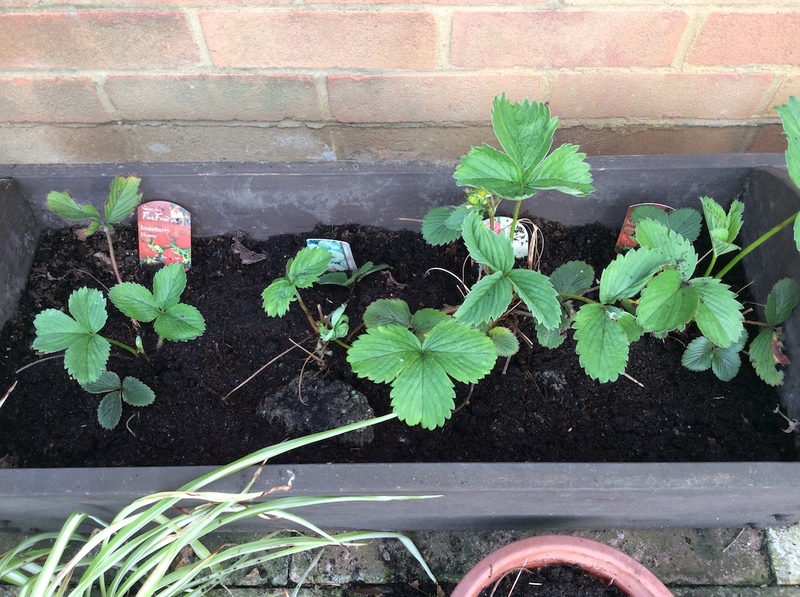 My other older strawberry plants are happy – throwing out green foliage, and I’ve also added some Strawberry Florence, Strawberry Alice, and Strawberry Cambridge Favourite plants to my stock. I shall have strawberries this year. Some of my older Strawberry plants are happily growing in some refreshed compost in my patio planters. However, I’m sad they failed, as I do love strawberries and I would have been interested to see this method work, but at only £2, the failure doesn’t sting too much. I’d be interested to hear whether you’ve had any success growing bare root strawberries. Let me know in the comments below. Previous Post The Courgettes are coming!